The government has filed a lawsuit against former Halliburton subsidiary Kellogg, Brown & Root Services Inc. (KBR), claiming the company knowingly submitted false claims in connection with a defense contract to provide logistics services for the U.S. Army. Kuwaiti companies La Nouvelle General Trading & Contracting Co. and First Kuwaiti Trading Co. were also named in the lawsuit, which was filed earlier this month in U.S. District Court for the Central District of Illinois. The government is suing all three under the False Claims Act and the Anti-Kickback Act. 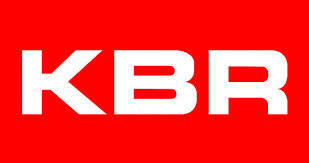 Based in Houston, KBR is an engineering, construction and private military contracting company. KBR was under contract to provide the Army with logistical services in Iraq. La Nouvelle and First Kuwaiti were subcontractors working under KBR, providing transportation, maintenance and other services in connection with KBR’s government contract with the Army. The government claims that KBR employees accepted kickbacks from La Nouvelle and First Kuwaiti between 2003 and 2004, in connection with securing and maintaining subcontracts. When seeking reimbursement from the government for services provided under the subcontracts, KBR allegedly inflated costs, or billed for goods and services that were either substandard or never provided. In an example provided by Corporate Crime Reporter, KBR allegedly awarded La Nouvelle a subcontract to provide fuel tankers for over three times the tankers’ value. La Nouvelle then gave the KBR employee that awarded the subcontract a $1 million bank draft, according to the lawsuit. In another instance, KBR used refrigerated trailers to transport ice for troops to consume. The trailers, according to the lawsuit, had previously been used as temporary morgues and had not been sanitized prior to transporting the ice. Some of the allegations made in the lawsuit were first brought to the attention of the government by whistleblower Bud Conyers. The case is captioned United States ex rel. Conyers v. Kellogg Brown & Root Inc. et al., No. 4:12-cv-04095-SLD-JAG (C.D. Ill.). This entry was posted in Whistleblower News on January 31, 2014 by Mark Schlein. The U.S. government is suing two companies under contract with the Department of Defense to move the belongings of deployed military men and women throughout the country and abroad. The lawsuit, which was filed in U.S. District Court in Columbia in 2012, claims that Covan World-Wide Moving Inc. and Coleman American Moving Services Inc. inflated the costs of moving the belongings of military men and women by inflating relocation costs. Both companies operate together as one under federal contracts. Two former Coleman employees initially brought forth the allegations in the lawsuit. Mario Figueroa and his son Elmer Figueroa both worked at a Coleman warehouse in Augusta, South Carolina, a location primarily responsible for the outbound shipments of belongings for Army personnel deployed from Fort Gordon and Fort Jackson. The government paid for the shipments according to weight. According to the Figueroas, the company falsified weight records, which fraudulently increased the cost passed onto the government. The two men also claim that Coleman managers instructed their employees to inflate the weight of shipments dating back to 2007. They also claim that managers escalated the scheme in 2011. The lawsuit claims that while weight certifications submitted to the government were falsified, the Augusta warehouse kept records of shipments that were unaltered. So far, a federal audit has revealed at least 437 cases in which the weight records sent to the government do not match the weight of records kept at the warehouse. Another audit conducted in Pearl Harbor has found examples of weight certifications for shipments inflated by 9 to 10 percent, according to the lawsuit. This entry was posted in Whistleblower News on January 27, 2014 by Mark Schlein. It doesn’t happen often that a former company CEO is named as a defendant in a whistleblower case, but that is exactly what is happening in a complaint filed against Health Management Associates Inc. (HMA). Jacqueline Meyer, a former client administrator for EmCare, Inc., and Michael Cowling, a former executive at an HMA hospital, filed the complaint in South Carolina. The two whistleblowers claim that former HMA CEO Gary Newsome had “personal and direct involvement” in pressuring staff around the country to boost hospital enrollment. Under Newsome’s direction, HMA’s corporate officers put pressure on emergency room doctors to admit patients that could have been placed under observation, sent to an outpatient clinic, or simply discharged. The result of this effort was that HMA hospitals submitted inflated or fraudulent claims for reimbursement to government health care agencies. Newsome, who retired last May and moved to Uruguay to become the president of a mission for the Church of Jesus Christ of Latter-Day Saints, has not commented on the lawsuit. Aside from the allegations specifically implicating Newsome, the lawsuit also claims that HMA paid kickbacks to doctors in exchange for patient referrals to HMA hospitals nationwide. The Justice Department has decided to intervene in nine different whistleblower lawsuits against HMA in at least five states. All of the complaints claim the company paid doctors in a coordinated effort to increase patient admissions to HMA hospitals. This entry was posted in Healthcare Fraud on January 16, 2014 by Mark Schlein. Two former executives at HealthEssentials Solutions, Inc. have agreed to pay over $1 million to resolve whistleblower allegations that they knowingly caused the company to submit false claims to government health care agencies. Kentucky-based HealthEssentials Solutions provided primary medical care to patients in assisted living facilities, nursing homes and other facilities before the company filed for bankruptcy and closed its doors in 2005. According to the Justice Department, former HealthEssentials Solutions CEO Michael R. Barr and former CFO Norman J. Pfaadt pressured company employees to bill government health care agencies at inflated rates or for services that weren’t medically necessary. The former executives also allegedly pressured company employees to “conduct special medical assessments on patients,” even if the services were not medically necessary. All of the allegations, which took place between 1999 and 2004, were done in the name of increasing the amount that HealthEssentials Solutions could bill Medicare, according to the Justice Department. As part of the settlement, Mr. Barr will be excluded from participating in federal health care programs for a period of three years. HealthEssentials Solutions had previously pleaded guilty to submitting false claims to Medicare and agreed to a settlement with the government in 2008. Former HealthEssentials Solutions director of billing Karen Stone pleaded guilty in 2011 for her role in the company’s false claims scheme. Former HealthEssentials Solutions employees Michael and Leigh RoBards filed the whistleblower allegations. The two will receive $153,000 for their role in the settlement agreement. The case is: United States ex rel. Stydinger, et al. v. Michael R. Barr and Norman J. Pfaadt, Civil No. 3:03-cv-00380-TBR (W.D.Ky). This entry was posted in Healthcare Fraud on January 13, 2014 by Mark Schlein. CareFusion, a California drug manufacturer, announced a final settlement with the Justice Department yesterday to settle allegations that the company engaged in off-label marketing and paid kickbacks to doctors. CareFusion has agreed to pay $40.1 million to resolve allegations related to the company’s marketing of ChloraPrep, a skin antiseptic. Cynthia Kirk, a former vice president of regulatory affairs for CareFusion, accused the company of marketing ChloraPrep off-label, or for purposes not expressly approved by the Food and Drug Administration (FDA). While it is true that doctors are allowed to use medications for uses that aren’t FDA-approved, it is illegal for drug companies to market their products to physicians for off-label uses. As part of the settlement, Kirk will receive $4 million for bringing the alleged off-label marketing to the attention of the government. The lawsuit against CareFusion also claims that the company paid kickbacks to a doctor in 2008 in order to boost the sales of ChloraPrep, a violation of the Federal Anti-Kickback Statute. According to the Kansas City Star, the doctor was a co-chair on the National Quality Forum (NQF), which is a nonprofit organization that “endorses and recommends standardized health care performance measures and practices.” The lawsuit claims that CareFusion paid and concealed kickbacks to the NQF doctor in order to influence the standards associated with ChloraPrep. “When companies pay kickbacks to doctors, especially doctors involved in setting the standards for the health care industry, they undermine the integrity of the health care system,” said Stuart Delery, an assistant U.S. attorney general. According to the terms of the settlement, CareFusion will avoid any prosecution from the lawsuit. This entry was posted in Healthcare Fraud on January 10, 2014 by Mark Schlein. In December, we posted the first of a two-part blog on the hospice industry. In Part 1, we looked at how hospice care has changed over the years, from an industry that was once run primarily by nonprofits into an industry now dominated by for-profit companies making billions in revenue, nearly all of which is generated through Medicare. Today in Part 2, we will cover how the government is fighting back to stop hospice providers from gaming the system. So what is the government doing to put the brakes on Medicare hospice fraud and spending? MedPAC, the government’s Medicare watchdog group, began recommending changes to the way hospices are paid in 2008. A year later, Medicare began to require doctors to provide a brief narrative supporting a diagnosis that the patient has less than six months to live. In 2010, Medicare issued another requirement that a doctor or a nurse practitioner periodically review a patient diagnosis to determine if they are still eligible for hospice care. Next year, the use of vague language in diagnosing hospice patients will be limited, specifically eliminating “debility” and “adult failure to thrive” as the primary language frequently used to justify a hospice care diagnosis. Despite these attempts at curtailing hospice spending, the length of stays among patients in hospice care has not been reduced. Although Medicare is considering further changes to the hospice payment system, according to the Washington Post, no significant changes are expected in fiscal year 2014. This is welcome news for hospice companies that routinely oppose any changes to the Medicare payment system. The push to recruit healthier hospice patients has an effect on patients that really need hospice care. VistaCare, one of the nation’s largest hospice providers, warned that “cost pressures resulting from shorter patient lengths of stay … could negatively impact our profitability.” Rachel Mason, a former employee at Delta Hospice in California, said that the economy of putting patients on hospice rolls for shorter periods simply doesn’t make good business sense. “If they come in very sick and die right away, it’s difficult to run a business that way.” Patients who are most in need of hospice care may be passed over in favor of those who are “more profitable”. Whistleblower lawsuits are among the most effective deterrents at combating hospice fraud. Four of the nation’s ten largest hospice providers have already been sued by whistleblowers claiming the companies are admitting patients that are not hospice eligible in order to increase their profits. Odyssey Healthcare was accused of offering bonuses to employees that met quotas for new patients. The company paid $25 million to resolve those allegations. Vitas, another hospice provider, was accused of paying out bonuses to employees based on the amount of patients they enrolled, regardless of whether patients were eligible to receive hospice care. A former manager with the company said employees felt pressured to enroll patients, even if it wasn’t appropriate to do so. Angels of Hope hospice was accused of driving around neighborhoods simply looking for elderly people with disabilities in order to get them on patient rolls. AseraCare allegedly pressured managers to find more patients by penalizing those that did not meet patient quotas. According to a lawsuit against the company, this pressure resulted in patients being admitted who were sick but not dying. All the companies being sued have denied these whistleblower allegations, and some are currently involved in litigation with the Department of Justice. We’ll have to see if these lawsuits have any effect on hospices that are admitting patients for profit. This entry was posted in Healthcare Fraud on January 4, 2014 by Mark Schlein.